The Marrakesh Express. What started out as a 1969 song by Crosby, Stills and Nash (apparently) turned into a great idea for a one-way train trip from the Moroccan city all the way to London via Spain and France. What could go wrong? 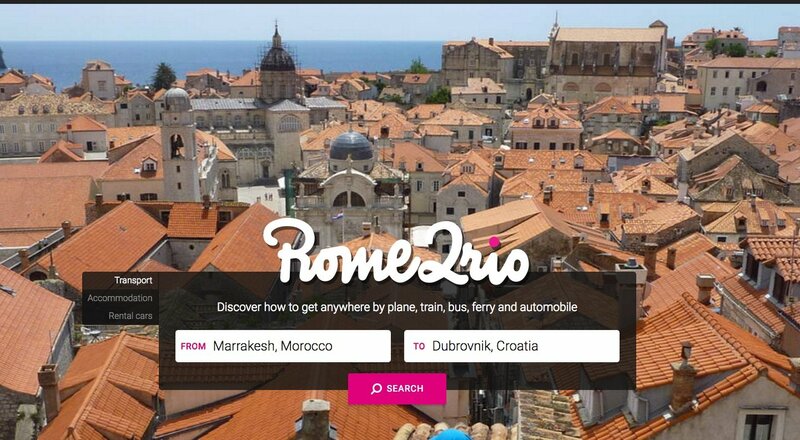 I wanted to book as much of the trip as possible online, so I decided to give Rome2Rio a try. Rome 2 Rio is the hub for all of the world’s travel infrastructure. You decide where you want to go from, and to, and it calculates various options of how to get there. This includes flight, trains, buses, ferries, and driving instructions, so in theory it covers all of the bases. However, I put it to work on the Marrakesh Express idea, this is what happened. The first option was to fly to London Gatwick, the second was to fly to London Heathrow. The third? Fly to London Stansted. The fourth, obviously, was London City. Fine, okay, we get it, London has a lot of airports, and all of them are connected to Marrakesh. Luckily, there are other options. The fifth option was marked ‘train, bus’, starting with a train from Marrakesh to Casablanca, and a not-very-tempting bus ride lasting 28 hours travelling to Barcelona, and then on to London by train. Not quite the journey I was anticipating, but fairly practical. Unfortunately, the map that accompanied this option showed a bus travelling from Casablanca round the entire Mediterranean Sea – through Algeria, Libya, Syria etc. – all the way to Barcelona. Whoah! I did eventually find a ‘train, car ferry, bus and ferry’ link between Marrakesh and London, but even this one involved a 36 hour bus ride. However, over on the Man In Seat 61 website and you can get full instructions of how to get from Marrakesh all the way to London exclusively by train (apart from the small ferry joining Africa to Europe). So what gives? Can Rome2Rio be trusted? If it’s not giving us all the options, what’s the point of it? Rome2Rio is impressive for simple journeys – it even gives you the website links to check exact schedule and book tickets – but it’s no better than Google in many respects. It’s just a starting point. It’s just as obsessed with flights as Google, and maybe even has some kind of deal with bus companies running arduously long journeys through war zones. Rome2Rio is a fine concept, and perhaps it’s the train companies we need to blame for not making their schedules accessible to websites like this (who knows?). However, until it’s possible to specify your mode of transport, insert rest days into a schedule, and fully trust the results, Rome2Rio is no more useful than using SkyScanner and Google. The Marrakesh Express trip is now fully on track, but that’s thanks to seat61.com, not Rome2Rio.